A career in music is a tough journey, something Robyn Sherwell wasn't brave enough to try until recently. After learning a plethora of instruments in school, she was sent down the route of education to earn a degree. She realised her true calling, and decided to gig in London, as well as upload her covers and songs to YouTube. It's certainly paid off, as she got a record deal, played at Glastonbury and her original song 'Islander' was Huw Stephen's 'Pick Of The Week' on BBC Radio. Her cover of Fleetwood Mac's 'Landslide' was featured on the Suffragette soundtrack, something not many people get to say or experience. Sherwell has been known for her haunting and soulful voice, something that 'No News' shows off brilliantly. The verses are written and vocalised like slow raindrops pouring down with each one, breaking away the clouds with her introduction of the drums halfway through, perfectly complimenting the vocals and piano. Lead single 'Islander' brings the mood up but doesn't slack at all in the Leona Lewis-escque way that Sherwell delivers her lyrics - a thumping drum helps deliver this one into your headphones and I wouldn't be surprised if I heard it on the radio sometime soon. 'My Hand' keeps the tempo upbeat and if that doesn't wake you up or make you feel uplifted, then I don't know what will. 'Love Somebody' starts with her voice being projected through both headphones one at a time, which through noise-cancelling headphones is a real treat. Her voice then comes together to form a beautiful piece of music about trying not lose yourself in the name of love, as the clicking beat leaves intermittently but comes back again just at the right time, with the introduction of guitar towards the end rounding off the song perfectly. Sherwell has explored a lot of avenues and possibilities for her music and has done so perfectly. The execution of every word on the album is exceptional and blew my expectations completely out the water for a debut. Definitely one of my favourites of this year so far. 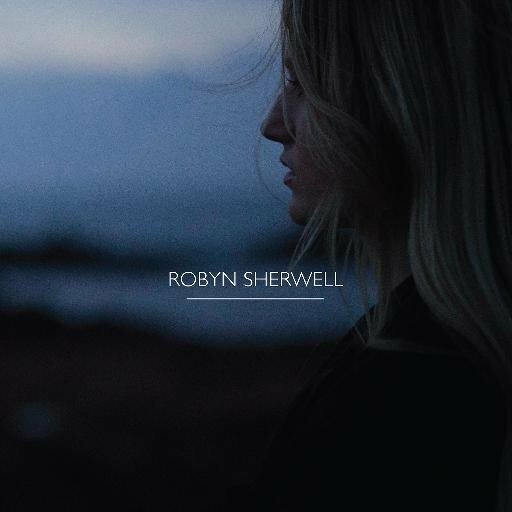 You can buy Robyn Sherwell on iTunes and Amazon (UK | US). Follow Robyn on Twitter, Instagram and Facebook to see what she's releasing and where she's touring. Don't forget to follow me on Instagram and Bloglovin' to keep up with my posts.